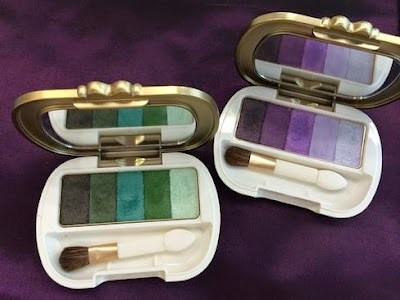 Les Merveilleuses by Laduree will release two limited edition eyeshadow palettes on 5 December as part of their holiday collection. Retailing at 5500yen each, these are inspired by emerald and amethyst, in line with the jewelry theme of the collection. Pic from Eclat. 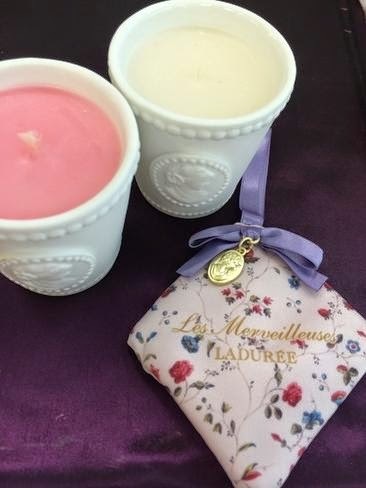 Also set for release on 5 December are these mini candles named Josephine (rose scented) and Bon Bon (candy-scented), each retailing at 4800yen. On the right is a rose-scented sachet (2500yen) with notes of rose, cherry and wood. 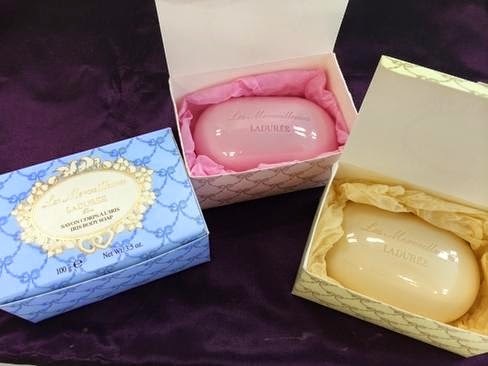 On 7 November comes this trio of limited edition soaps in iris, carnation and mimosa (1500yen each). The carnation soap apparently also has spicy notes of cinnamon and black pepper.